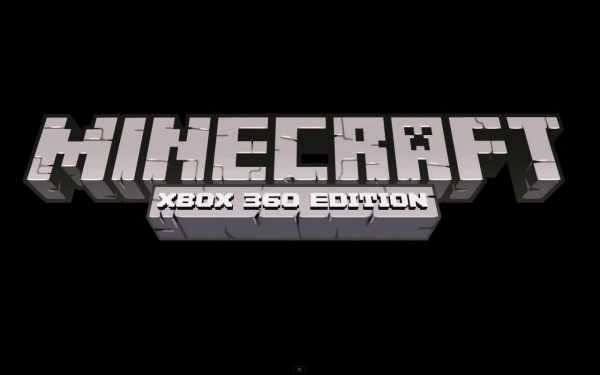 Minecraft: Xbox 360 Version was developed by Mojang and 4J Studios and published by Microsoft Studios. It is released May 9, 2012 for 1600 MSP. A copy was provided for review purposes. If you’re any kind of gamer, odds are you’re at least tangentially familiar with Minecraft. If you’re unfamiliar, a brief synopsis: You’re dropped in the middle of a seemingly endless world, left to fend for yourself. Just about everything in the game world can be deconstructed, reconstructed and combined to rebuild the world around you as you see fit (think of it as a world made entirely of LEGO blocks). When the sun goes down, though, the monsters come out to play – and when that happens, you’d better have some weapons or shelter to fight back (you remembered to build a sword, didn’t you?). In a way, Minecraft is the quintessential open world game: The player is left to his or her own devices without that pesky story campaign getting in the way of the fun. When the game first released on PC in 2009, it became a sensation for its simple-yet-deep gameplay – and the fact that you could build anything from a scale replica of The Legend of Zelda‘s game world to virtual representations of human anatomy didn’t hurt either. Now, the game makes its long-awaited debut on XBLA: Does it retain the simple charm PC gamers have enjoyed for years, or is it lost in translation? What, WHAT time is it?! – Ultimately, the biggest compliment one can give to Minecraft is that it’s one of “those” games – the kind you pick up to play for 10 minutes or an hour and accidentally play for six hours. Sure, you say you’ll quit after you finally gather enough items to craft that steel sword, but in the process you stumbled over that mountain range or into a cave and it couldn’t hurt to just explore a little more, right? 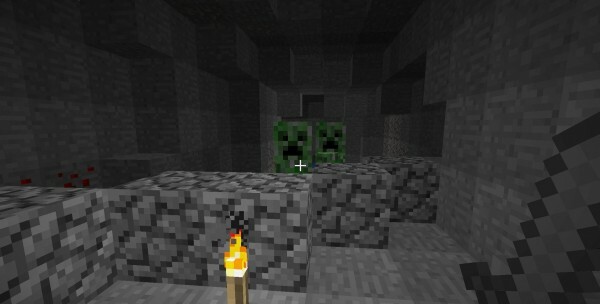 Old school meets new school – Minecraft’s unique graphics are about as well-known as the game’s addicting premise, and that visual style is translated seamlessly to XBLA. 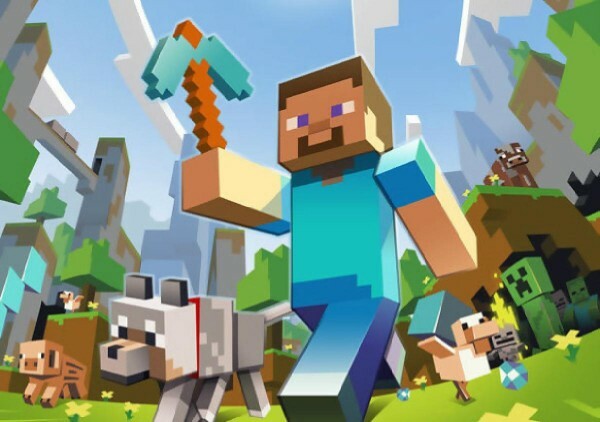 Minecraft’s blocky, pixely (some might say ugly – we wouldn’t) style is the perfect mix of 8-bit graphics of old and the high-def visuals of today, which both suits the game’s premise and mechanics but also lends the game a unique look that stands out from most anything else on the system, whether it be a fellow XBLA title or a full retail release. Play your way – On its face, Minecraft’s premise is mind-numbingly simple – gather supplies, build stuff (heck, if you really want to, you can boil the game down to “explore until you get bored or die”). When you begin digging into crafting items and actually building that stuff, however, you realize the game is far deeper than initially appears. It’s to the game’s credit that you can ignore that completely if it suits you; Minecraft can be easily tailored to fit your play style. 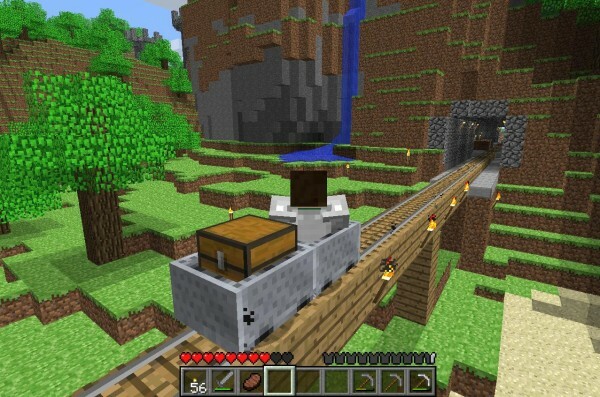 Training wheels – Minecraft: Xbox 360 Version has one major addition not present in the PC version – a tutorial. This is a boon to new players, especially those weaned on tutorial-heavy console games. With the tutorial, newcomers can get up to speed on the basics of the game fairly quickly and stand toe-to-toe with veteran players. What’s more, it’s completely ignorable if you don’t want to futz with it, so there’s no need to plod through a bunch of stuff you already know when you want to start playing (something most tutorials can’t boast these days). It’s a smart move on Mojang’s part. Intuitive controls – Translating a game to a console from the PC is always tricky, particularly where the controls are involved – if you don’t do it just right it can turn what might have been a passable or even great game into an unplayable mess. Luckily that isn’t the case with Minecraft, as the 360 controller setup suits the game quite nicely (for the most part – see below). Come play with me – Minecraft’s big, empty, open worlds are great, but it can get awfully lonely to navigate and build in those spaces all by yourself. Fortunately, the game offers two ways to play with friends: Via splitscreen or Xbox Live. Exploring and building is a blast – it’s even better with a friend. One notable difference from the PC version is that player worlds aren’t persistent – meaning you can’t get into Johnny’s worlds when he’s not signed on (which is neither here nor there, just something worth noting). 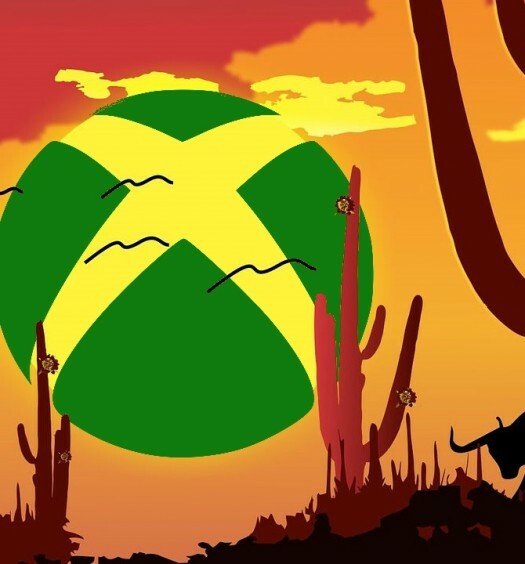 It’s worth the price – It’s not an uncommon complaint these days that XBLA games cost more for the same amount of content or less. At 1600 MSP, Minecraft is most definitely on the more expensive end of that spectrum, but it’s a game that will get so much use you feel like you’re getting it for a steal. A time sink – There’s a dark side to Minecraft being one of “those” games – it’s a blast to explore and build, but if you’re looking to construct anything significant or unique – say, that scale model of the Leaning Tower of Pisa or the Roman Colosseum – you’re in for a big time commitment…and much of that will be spent gathering supplies (to say nothing of the trial and error involved in actually building the thing). That’s not necessarily a knock against the game seeing as how, say, it’s pretty much the whole premise; just don’t expect to erect that model of Hyrule Castle without a lot of hours under your belt. I want to hold your hand – Similarly, the tutorial is a bit of a double-edged sword. It’s great that the game’s a little more forthcoming with helpful information and hints than the PC version, but that utter lack of information was part of what made Minecraft so appealing for many people. These days, you can’t play any FPS without the game spending three levels teaching you how to shoot, but Minecraft dropped you in the world and said in so many words, “Well? Figure it out.” That’s frustrating, sure…but it made even the smallest discoveries seem that much more significant because you figured it out yourself (or, at worst, turned to a robust online community for help). That sense of accomplishment is still present here, but it’s diminished somewhat by the fact that the game gives you recipes for all those rare items. Inventory management – Navigating Minecraft’s inventory can be a bit of a pain, especially now that it’s mapped to a controller and (presumably) displayed on a TV a few feet away from you instead of on a keyboard and computer monitor right in front of your face. It’s easy to get items with similar-looking icons confused, and the menu cursor isn’t the most responsive ever created. It could be a lot worse, but it could be a lot better, too. Creeper crawlies – There’s nothing worse than scrambling to get a nice little house built before nightfall, only to have a Creeper sneak up on you and blow you and your thatched-roof cottage to that big, blocky place in the sky before you even realize its there. Here’s what it comes down to — if you’ve played Minecraft, you know (almost) exactly what you’re getting into with the 360 version. There’s nothing here to convince vehement Minecraft haters to love the game and nothing to convince diehard players to walk away forever. Though the game loses a bit of the PC version’s charm in terms of forcing the player to fend completely for themselves (which is good or bad depending on your point of view), it’s far from a deal breaker and the inherent creativity and originality of the game remains largely intact. If you haven’t played it and are wondering what the fuss is about, this is a perfect opportunity to give it a shot and see what you think. Minecraft isn’t for everyone, but there’s enough going on that a lot of different kinds of player will be satisfied. And with the sheer amount of content offered and the playtime promised, it’s more than worth the price of admission.